What a way to wrap up PLA Conference! If you’ve never heard humorist and author David Sedaris read from his books, than this is a must-see event. And if you HAVE ever heard him, well you already know what fun you’re in for. He and his sister, Amy Sedaris, have collaborated under the name “The Talent Family” and have written half-a-dozen plays which have been produced at La Mama, Lincoln Center, and The Drama Department in New York City. These plays include Stump the Host, Stitches, One Woman Shoe, which received an Obie Award, Incident at Cobbler’s Knob, and The Book of Liz, which was published in book form by Dramatists Play Service. Sedaris’s original radio pieces can often be heard on This American Life, distributed nationally by Public Radio International and produced by WBEZ. 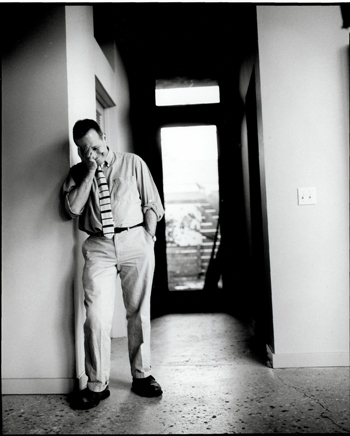 David Sedaris has been nominated for three Grammy Awards for Best Spoken Word and Best Comedy Album. His most recent live album is David Sedaris: Live For Your Listening Pleasure (November 2009). A feature film adaptation of his story C.O.G. premiered at the Sundance Film Festival (2013). PLA thanks Ingram and Polaris Library Systems for their support of this event.